In November 2018 the Governor of Ankara imposed a ban on all LGBTI-related events. 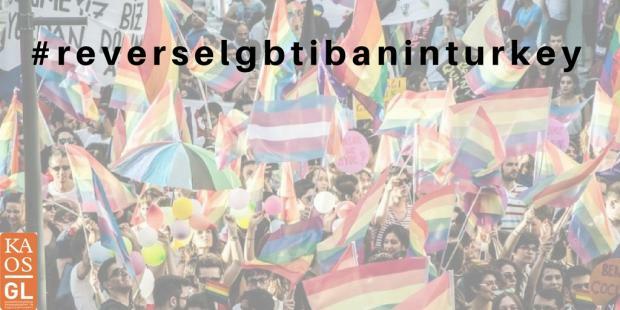 Members of the LGBTI Intergroup and the EP-Turkey Forum write to the newly appointed governor in October 2018 to remind him that it is time to revoke this ban and support freedom of expression and assembly for all citizens in Turkey. “We would like to wish you all the best in your new position. Your appointment as governor in October 2018 is also an opportunity to address human rights violations that have taken place in Ankara for over a year. “On 19 November 2017, the Ankara Governorate banned all indoor and outdoor activities related to LGBTI rights in the city for an indefinite period, with the state of emergency as a legal basis for the decision. This ban has since led to more human rights violations, discrimination and violence against lesbian, gay, bisexual, trans and intersex (LGBTI) citizens and refugees. When freedom of expression and association are barred for LGBTI citizens, the challenges they face become invisible, and offences against them go largely unpunished. “Associations established in Ankara like Kaos GL, the first LGBTI rights association in Turkey, and Pink Life, the first transgender rights organization in Turkey, have been carrying out human rights-themed events that have not created any public order or public security issues. On the contrary, these events have no other goal but to remind the public in Turkey, and worldwide, that all citizens are equal and human rights are universal, in accordance with international human rights principles and the Turkish constitution. “The government revoked the state of emergency in Turkey on July 18, 2018. Therefore the ban on LGBTI events no longer has a legal basis. However, under the scope of a new decision taken on 3 October 2018, the Ankara Governorate has again banned any activities related to LGBTI rights in the city, on the grounds of “protection of public order” or “public sensitivities”. “We therefore urge you to reverse this discriminative ban contrary to United Nations and Council of Europe human rights standards, jurisprudence of European Court of Human Rights and Turkish national legislation.